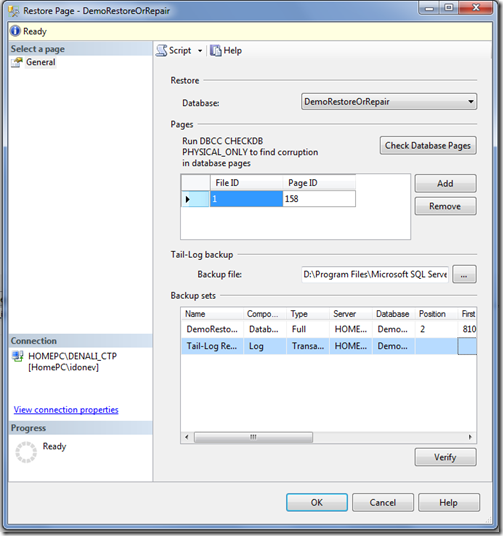 After choosing the Database, SQL Server automatically extracts the info from table msdb.dbo.suspect_pages and populates the Pages window. You can enter additional pages if you want to using Add button. 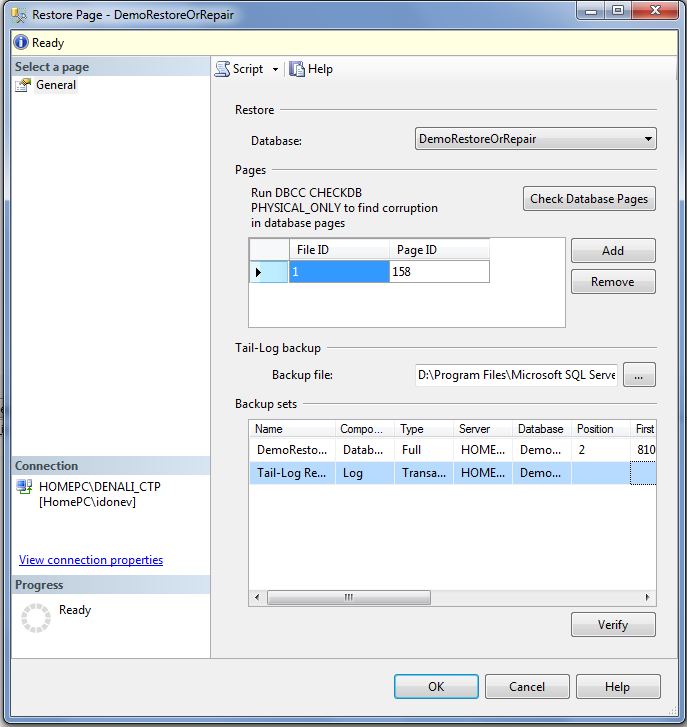 The tail-log backup is something new that is introduced in the GUI (you will see it and in database restore part) and this section is where you put the filename of the tail-log backup which is going to be performed during the restore. The bottom part is the Backup sets where you can see the last backups available. In my next post I will try to show you the new stuff around Database restores so stay tuned! 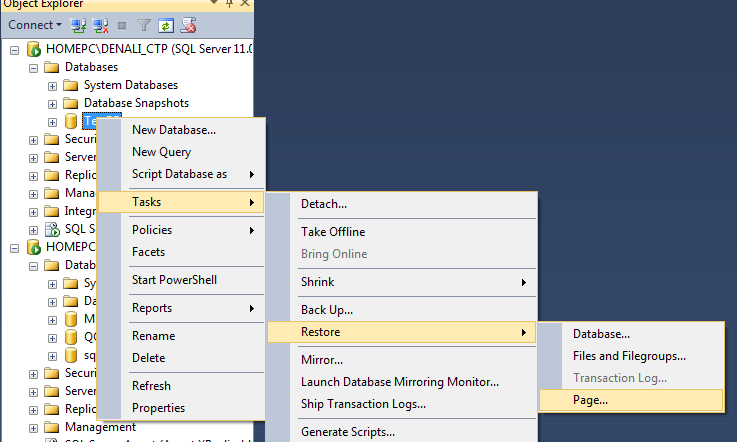 I like “Contained databases” feature of SQL server Denali. 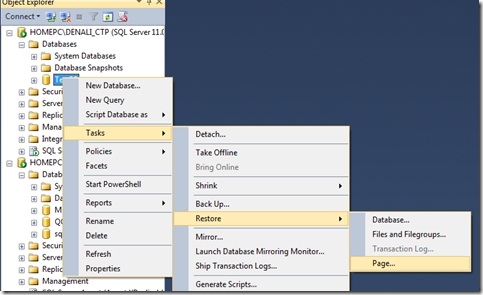 It makes easy to move databases between different instances of SQL Server. In this, database administrator don’t need to logins for instances because all authentications are handled by contained database.